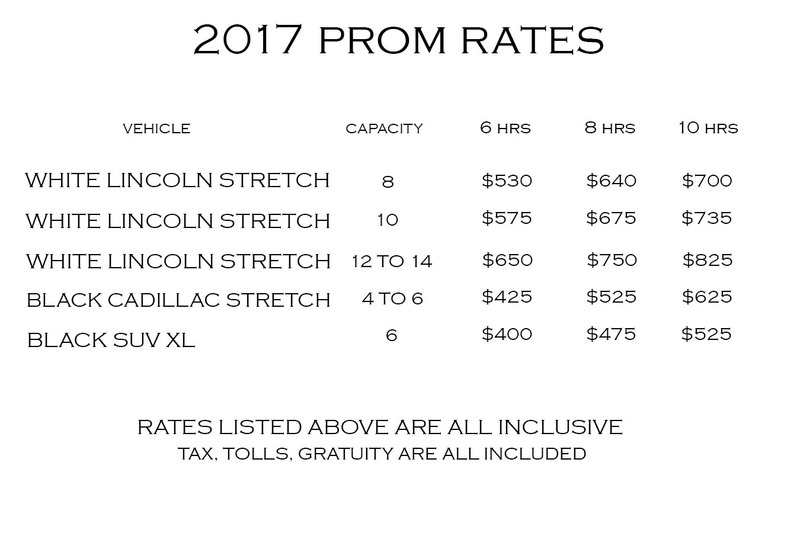 At Preferred Limo, we understand that Prom Night should be one to remember for always! It’s finally here! Now for the shopping for the right dress or Tux, deciding who will be traveling with you, planning the after Prom Events and so much more. The last thing you need to do is to worry about finding a Trustworthy, Fun and Professional Limousine Service. One that will be On-Time, Fun but Safe & Professional Drivers and Affordable without any hidden fees! What sets apart from other Limo Services? Experience! Our Management & Driver Staff has services Hundred’s of Proms in NJ. We have zero incidents in all our years of Experience… ZERO! Although the safety of our passengers is our Priority.. all our Chauffeurs have a Fun Personality. No Charge for Extra Stops or after Prom Destinations as long as it falls within the package hours.